When Emma Thompson’s Oscar-winning version of Jane Austen’s Sense & Sensibility opens, we meet sisters Elinor and Marianne Dashwood, who have grown up in a grand estate called Norland Park. After their father dies and their older brother evicts them, they’re forced to “downsize” to the much more humble Barton Cottage. I think most of us could learn to cope in a cottage like this, though, wouldn’t we? Saltram House, the largest country house in Devon (U.K.), was used as the location of Norland Park. It was built in 1743 but expanded on over the generations. It has belonged to the National Trust since 1957 and is open to tourists. When they’re forced to move into Barton Cottage, it’s difficult to deal with their reduced circumstances at first. Kate Winslet played the hopeless romantic Marianne in a strange curly wig. Thompson reportedly wanted sisters Natasha and Joely Richardson to play Elinor and Marianne, but director Ang Lee insisted that Thompson play Elinor instead. Since she was too old to play a 19-year-old girl, the character’s age was changed to 27. At the time, Thompson was 36, so it was still a stretch (as many movie critics pointed out). I re-watched the movie again to take these screenshots and still love this version. But of course nothing beats Jane Austen’s novel! It’s located on the South Devon coast of England, and you can rent it for your next holiday. The Beach House from "Nights in Rodanthe:" Rescued! Looks like a nice little place! I love the amazing trim in those old houses! Did you notice how every single room has wainscot and chair rail? That’s the way it was because of the practicality of it. More durable than plaster. My favorite house, though, is like you, the treehouse! .-= Remodeling Guy´s last blog ..RG’s Complete Guide To Wood Paneling =-. I love the quality and craftsmanship of old houses of this period. What really bakes my noodle is how they kept the stone houses from toppling over? Did they use rebar or super fantastic mortar? I have enjoyed reading your blog so much! I have loved houses and buildings for as long as I can remeber. It has been fascinating to see all of these places that I fell in love with in movies, and then to see them as they really are. I so am a Jane Austin fan, A & E’s version of Pride and Prejudice with Colin Firth is my favorite. I love this house. Whenever I watch movies like this, Emma, or Pride and Prejudice, they take me to a whole new world. Sometimes I wish I could live back then and wear such beautiful dresses. When I was little, I wanted a cool tree house like this one or like the ones from Swiss Family Robinson. Unfortunetly I only got cheap tree houses that my brothers built. Wonderful post! I love both Norland and the cottage. My favorite Jane Austen adaptation is the Colin Firth P&P. Oh – be still my heart. I am such a Jane Austen nerd. I never get tired of Austen movies – the sets, the homes, the wardrobes, the witty female characters and dashing men….oh, seriously don’t get me started. 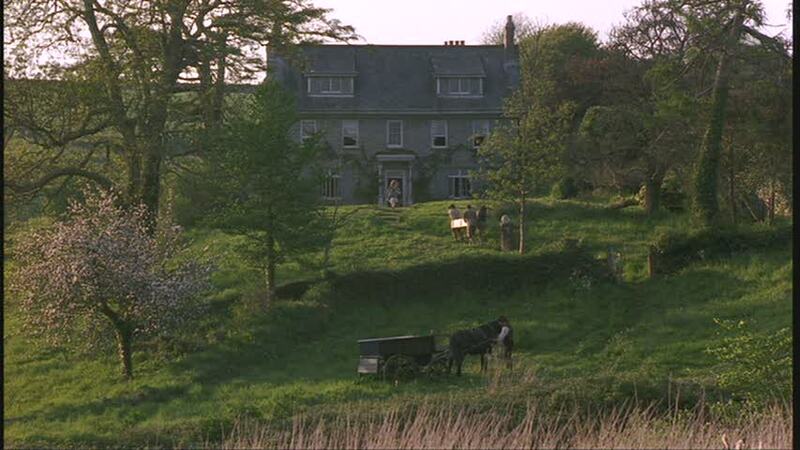 I think I need to go “full Austen” sometime and actually go on a Jane Austen tour of the English countryside….perhaps I’ve said too much :). .-= AnNicole@OurSuburbanCottage´s last blog ..You’re in the Right Place =-. Sense & Sensibility is my fav movie period. I even have it DVR’d and watch it every night as I fall asleep. My daughter and I (16) absolutely love the version of Pride and Prejudice with Keira Knightley and Matthew Macfayden. I need to watch the others you have mentioned. It’s been a long time. .-= Carmen´s last blog ..*Winter Wreath and Decor* =-. Oh, this post truly appeals to me in every way! My mother was British, and my siblings are dual citizens (I don’t see the need), and everything about England appeals to me so much. Emma and Sense and Sensibility are two of my all time favorite movies. Wonderful pictures of the set. I actually liked the cottage that the family moved into, although the ceilings were so low. When seeing these pictures, it makes me reflect upon recent conversations that I have had with fellow Atlantans about what defines a ‘McMansion’. People with money have always been building large houses; it’s how they are built, and the style in which they are built, that makes all the difference. Just because a house is large does not make it a McMansion. .-= Things That Inspire´s last blog ..A day with one of my favorite bloggers, and dinner with one of my favorite designers =-. Wonderful post! Loved re-visiting this movie and the houses. One of my ‘bucket’ list items is to read all of Jane Austen’s novels, and I totally agree, she does insufferable better than anyone. I loved the BBC version of Pride & Prejudice and found the Keira Knightley movie just a bit too fast-paced; it’s impossible to get these books successfully into 2 hours, I think. I’m excited to hear about another Bridget Jones in the works; I thought the second movie was a heck of a lot better than the second book, which was dire! .-= Struggler´s last blog ..They’ll paint it for you! =-. I adore the colors in the cottage’s living room in this film. All those creams, blues and grays. I also adore all Austen novels, and I’m sorry, but Colin Firth is Mr. Darcy. Emma with Gwyneth Paltrow is my favorite big screen version of Austen. That proposal by Jeremy Northam as Mr. Knightley under the tree makes me tear up every time. The best onscreen proposal ever ! Would love to see more pictures of the estates in Emma: the Woodhouse’s estate, Mr. Knightly’s Donwell and grounds, and the Westin’s home. The cinematography in that film is spectacular. Loved this! I used to have my high school students read Pride and Prejudice each year. WI even had them dress in period costumes for the whole day and learn dances from the time period. Such fun (at least for me)! .-= anna see´s last blog ..For Women Only– The Dough Also Rises =-. I love the Jane Austen movies! Emma is probably my favorite. I don’t think I have seen the 2006 version of P&P, but I love Keira Knightly so I’ll have to rent it soon. I am ashamed to say that I have never read the Jane Austen novels. I have however read the novels by the Bronte sisters. Maybe I shall add them to my reading list? .-= Stephanie @ Bona Fide´s last blog ..Snow Day =-. Soooo much to talk about with this one!!! 🙂 Sense & Sensibility is my favorite Austen film-from-a-book. I think Kate Winslet is just brilliant in it, and I love Hugh Grant and Alan Rickman. I always did feel that Emma Thompson was stretching the role a bit in terms of her age, though she acted it beautifully. .-= Amanda @ Serenity Now´s last blog ..Tackling Problem Areas…Together (And an Invitation!) =-. I just love this showing of Sense and Sensibility and agree that Colin Firth/Pride and Prejudice mini series is my favorite. I enjoy these types of productions and like having the story stretched out over a period of time – much like the books. The pleasure lasts a little longer. Being an English muffin type of gal, I really adore Barton Cottage with all its nooks a crannies and appreciate the view into Efford House. It is almost type for the next installment of PBS’s Cranford. An inside view in the future? Thanks for you wonderful blog. .-= Penny´s last blog ..Harry Lauder in the snow =-. Love both homes…and ALL of the movies. Thanks for sharing. .-= Rita´s last blog ..Passing Happy 101 =-. I love that cottage, my favorite part! .-= Michelle´s last blog ..The one that got away =-. Thank you so much for posting this article. I am a huge fan of Jane Austen books and movies. My favorite is Pride & Prejudice with Keira Knightly (I just can’t visualize Gwyneth as authentic enough), followed by Sense & Sensibility with Kate Winslet & Emma Thompson. In fact, anything that Emma Thompson is a must see (and Greg Wise – HOT HOT HOT)! I’d be happy living in Barton Cottage any day over the mansion – even this little treehouse will do! When I die and come back, I want to live there. Lovely post. I love almost all of the Jane Austen movies, but have to say the one with Keira Knightley is my least fav adaptation. Oh, wait, there was a recent Persuasion adaptation that was hideous, with Anne running inelegantly all over Bath, huffing and puffing. I was in England just a few years after the Colin Firth P&P was aired, and can you believe I did NOT go to Chatsworth House, which stood in for Pemberley, even though I drove right past it?? Agh, it was an agonizing decision to make, but I had already visited one country estate and a castle on my trip, and I wanted to maximize my experiences, so I drove around the Yorkshire Dales instead and went to Bolton Abbey, and have no regrets. I love you before, but I’m IN love with you now! Thank you for this spectacular post! 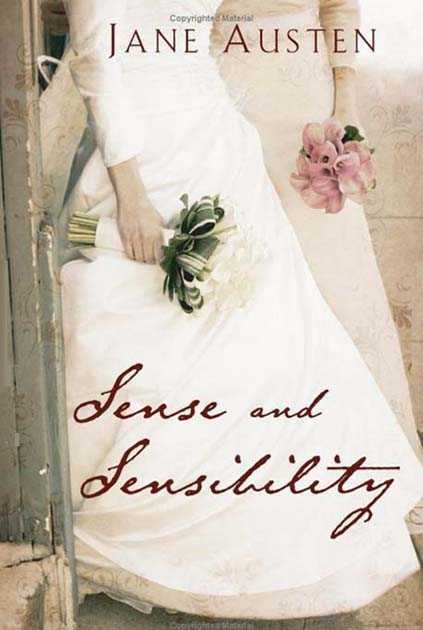 I’m a HUGE fan of Sense and Sensibility. I’ve seen this movie about 9,000 times (not exaggerating). Everything about it is perfect. I had no idea that Barton cottage was available for rent! I’ll have to save my pennies this year to plan a trip! .-= Scott Fazzini´s last blog ..Thank you =-. 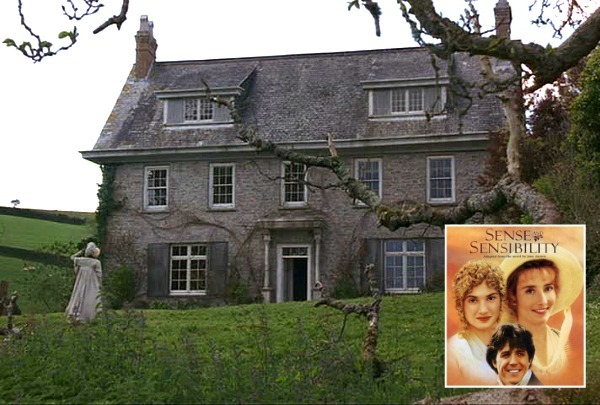 Sense and Sensibility is one of my favorite movies. Thank you so much for posting it. Kate Winslet was wonderful. It was the first movie I saw her in ~ I knew she would go far. What a spectacular review of the houses used in the film. FYI ~ I am starting a new series called Monday’s Method. It’s interior design recommendations with love from me to my readers. I posted the first one tonight. I think I’m going to enjoy doing it! Always wonderful Julia, always a treat to come visit your blog. .-= Paula Grace´s last blog ..Monday’s Method =-. When I was in England I went and saw where Jane Austen grew up and did most of her writing. In a little corner of a very plain room in a somewhat nondescript home. I love that you can sense pieces of her in all of her books so clearly. This is one of my favorites…I could be quite happy in a little cottage like that! .-= Kristen @ More Than Mulberries´s last blog ..Model Home Stalker =-. YAY for S&S! Terrific. I do love the 2008 miniseries better, but this is a good one too. The cottages in both versions are my favorite homes. And, you’re right — Jane Austen writes the “insufferable” characters better than anyone in history! We just got the new “Persuasion” on DVD for Christmas, and it is wonderful. Capt. Wentworth is sooo handsome. Now I’m finally reading the book, which we’ve had in our home since we were married. Also, PBS is showing a new version of Emma — a 3-part, 3 hour miniseries. Here in NE, it starts showing in two weeks. I’m so excited! Great post! I love love love this blog! Hi Julia love your blog on S&S I love the way they film the landscapes in these stories and I love Hugh Grant. I don’t know if you have seen Miss Potter with Rene Zelweger (I hope I spelt that right ) the homes and gardens in this movie are very beautiful. Thanks Julia for this great post.. Regards Esther from Sydney. I love this movie! Love, love, love, heart, heart, heart! I prefer the cottage to the main house, but that’s because I love the character of the house. I adore ALL the JA movies but the P&P mini series is my favorite. I really, really like the new version of it too and will watch it over and over. It’s easier to watch to the the whole story in less than 6 hours. Plus, Matthew McFadyen. Yum! .-= Mom in High Heels´s last blog ..Happy Birthday Mr. HH! =-. I think what I like even more than seeing these houses is the way you describe them and the movies and give us all these little tidbits along the way. It’s always such an enjoyable read. Thanks so much for offering such delightful posts! .-= Lesley @ TheDesignFile´s last blog ..Sunday roundup: DIY posts to spark your creativty =-. Wow – I loved that movie, so surreal to see it all in pics like that, you don’t notice the home so much during the movie, funny that! .-= Annie@A View on Design´s last blog ..Design Inspiration Post… =-. As with the other readers, S & S is my favorite movie. Thank you for writing about it. The link to rent the historic houses is fabulous! It deserves its own post. Hi Julia! This is a fantastic post, lots of information! Can I mention your blog in my blog about Jane? .-= Adriana Zardini´s last blog ..As pinturas de Franz Xavier Winterhalter =-. Ahh…one of my favorite movies of all time! I was thrilled to read this post…thanks for sharing!!! .-= Kim´s last blog ..Scenic Sunday – #11 =-. I love that cottage. The Colin Firth version hands down for me. I love that little tree house! .-= pk @ Room Remix´s last blog ..Looking at Your Space In A New Way =-. What a wonderful estate! It’s all in the details…the trim work around the doors and windows….everything has been thought about. I love older architecture for that reason. A lot of today’s homes are missing the extra thought and that makes me a little sad. .-= desiree´s last blog ..New Year’s Resolution: Coat Racks =-. .-= Rachel´s last blog ..Christmas Update =-. I need to rent these! .-= Becky @ Farmgirl Paints´s last blog ..Sunshine and a WINNER =-. I can see I’m about to break out all my Jane Austen movies today! 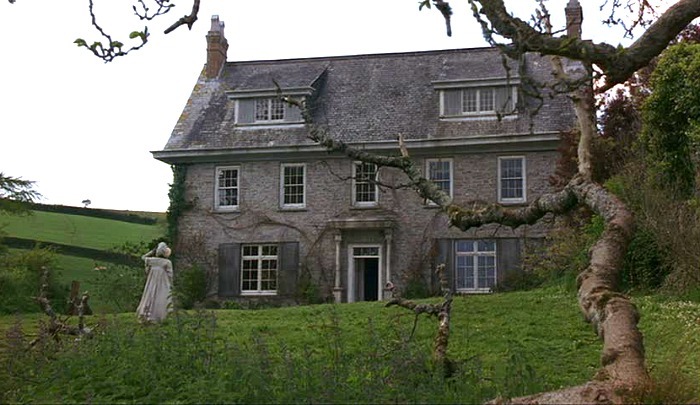 I loved Barton Cottage in this movie. I thought it was funny how they looked at it when they first saw it, like they were thinking “This is it?” Most people would love to live in a cottage like that. I guess back then, it wasn’t that great though. .-= Kelly´s last blog ..1910 Victorian, Jackson, TN =-. Whoa whoa whoa Miss. Lippy!!! (From Billy Madison, not tourettes) Emma Thompson wrote that screenplay!? You lie! Color me impressed, love the house too, obv. .-= Bailey´s last blog ..A tip of the hat to Kelly Proxmire =-. 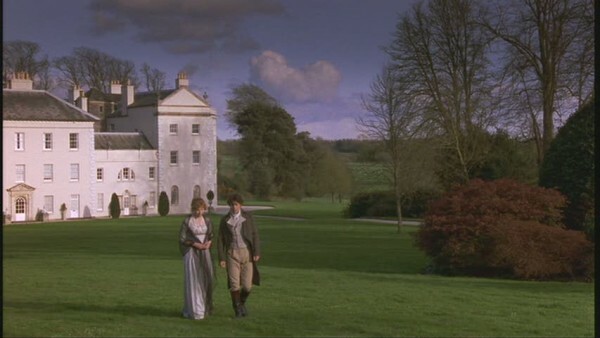 I’d love to see a post on the Bennet’s house in the Keira Knightley Pride and Predjudice… the one with the moat. heehee I wonder if there will ever nbe a film version of Sense and Sensibility and Sea Monsters? .-= Angelica Bays´s last blog ..TygrLilies version of…"FlyGuy" =-. I also love Amanda Root’s *Persuasion* and The Colin Firth P&P but this is probably my favorite Austen. Of course there’s the Gweneth Paltrow *Emma* which gets points for having my favorite Austen hero in Mr. Knightly. I cry when he says, “Badly done, Emma, badly done,” and then cry harder when he proposes. Not that there’s anything wrong with Darcy, especially after you’ve seen his house. Oh, to be in England. Those houses — from the paint to the furniture are always perfection — and even more so in the movies. Please do come visit us soon! Jane F.
.-= Jane F´s last blog ..Cookware Replacement Anxiety =-. OK, I am a guy, but I have to confess that I love the Jane Austin stories and the movie adaptations. Beautiful architecture!! .-= Kim´s last blog ..Best Interior Design Bogs on the Web =-. Hey Julia…oh I love visiting here! ONe of my favorite movies for so many reasons..not just all the fab houses! But honestly, that pic of the exterior with the animals… I love it! This was such a fun read! Thanks for posting! .-= Amy´s last blog ..We bought a remodel =-. Ah, one of my favorite movies. I could qyote you dialog. “Had I not been sworn to secrecy, I could have produced enough proof of a broken heart even for you!” (Elinor confessing to Marianne that she has known of Edward’s engagement all along). I think I must go watch it now…. .-= Robin´s last blog ..Merry Merry and Happy New Year! =-. I always enjoy your blog, but you’ve truly won my heart with this post! I love this movie, and I daydream about that cottage (okay, and Alan Rickman as Colonel Brandon). 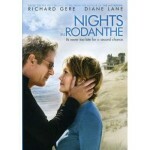 This movie is among my favorites, along with the other movies from Jane Austen books. I also can’t get enough of the most recent Pride and Prejudice. Thanks for the fun post! Would love to see even more like these! .-= stacey´s last blog ..New Book List =-. This is one of my favorite movies! As far as the cottage goes, it’s bigger than any house I’ve ever lived in, and I always found it quite humorous that in their “impoverished” circumstances they still had a housekeeper and a manservant! If that’s poverty, I’ll take it. It’s hard to choose a favorite movie version of Jane Austen. I definitely prefer the 1996 P&P to the 2006 version…I’m not a big fan of Keira Knightly. But if I must choose, I think Emma is the winner in my book. And I’ve always loved it when Mr. Knightley says “I just want to stay here where it’s cozy” as the camera pans out over his enormous estate house. .-= Holly´s last blog ..Powder Room Makeover, Phase 1 =-. Thank you for this wonderful post! Emma T’s version of S&S is my absolute die-hard favorite, and I’m with you that Keira’s P&P is the best version. I celebrated this past New Year’s Eve with a Jane Austen marathon: Emma, Persuasion, and S&S. Such fine companions to ring in the new year! I am addicted to your impressive blog and can’t wait for more. I had never seen this movie until just this past weekend!! It was on one of the movie channels, and I loved it! .-= Angela´s last blog ..Just Stuff =-. I’m totally with you – Pride and Prejudice is my favorite movie! Possibly of all time! I just love it. And I own the dvds of that bbc miniseries too. And I hadn’t heard about a third bridget jones movie – I hope they have the same actors – I actually liked the first and second ones! I just love all things British – except the fake accent by the lead actress, but what can you do. More of these posts please — manor estates are so pretty to look at!!! .-= christy´s last blog ..The Cutest Baby Girl’s Room EVER! =-. I have always loved your blog, but this post has got to be the best one ever! This version of “S&S” is my favorite, and is my favorite movie of all time – it’s the one that I put on if I’m sick, or had a bad day, or want to relax, or because I’m awake…you know, it’s The Movie for me. Thank you so much for covering these wonderful houses, and for the information about renting Barton Cottage! I was hoping to do a S&S movie tour this May through P And P Tours, but my funds were sadly lacking. Regardless, I dream of being able to take all of the tours that pandptours.com offers. Until then, I’ll keep revisiting this post and all of your Movie Mondays! Thanks again for a superb post, and a superb blog! .-= Laura´s last blog ..Mailbox Monday =-. the guy who inherited Norlands was their half-brother not step. The girls were from a second marriage. The inheritor was the son of the first marriage. women did not inherit in those days. Barely more so now. 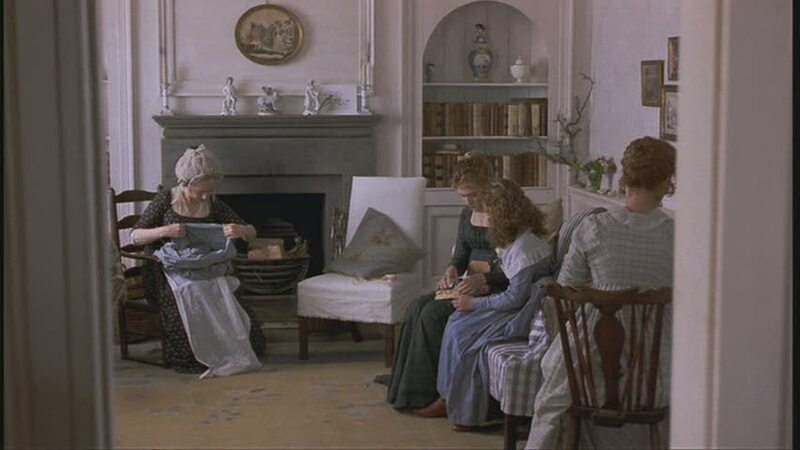 Persuasion is my favourite Jane Austen novel and I have the movie on a very old videotape. I watched it recently with my young daughter. However, I recently saw the mini-series of Pride and Prejudice again and it was such a joy. I wanted more! .-= Becky´s last blog ..coveting =-. Wow! I love classic, vintage houses. And this one is really cool. Where is this located? Nice house! Persuasion is my all time favorite. Second is Mansfield Park. I just found your blog and I can’t look at all the houses quick enough. I never realized how many other people like to look at interiors of homes in tv and movies. I thought my sister and I were the only ones. .-= Rana´s last blog ..Honey do time! =-. I love this movie too and have watched it dozens of times…it never gets old. I love “Emma” with G. Paltrow and J. Northam…I love him especially as Mr. Knightley…he’s perfect in that role and have since researched him and have seen many of his best movies. 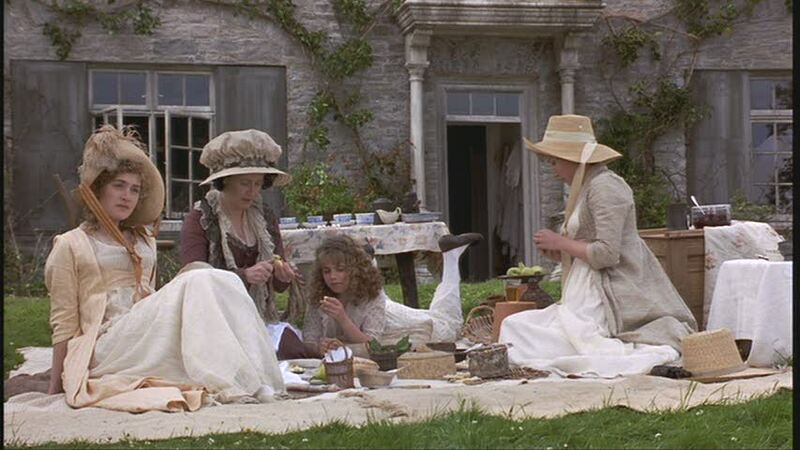 Any time I see any J. Austen movie or mini-series is on I make sure I watch it. I just love it. One of my all time favorite movies. I really want to go to England just to tour all the historic estates and castles and cottages. 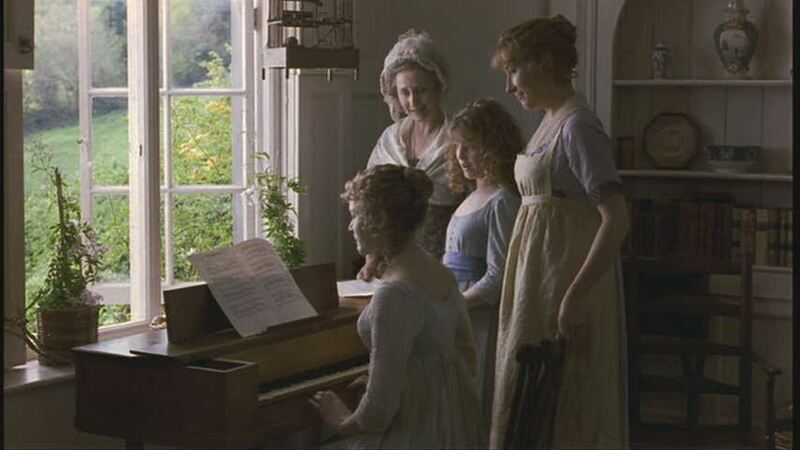 I’m not much for romantic movies, but Sense & Sensibility was just too well done to ignore. Thank you SO very much for this information. 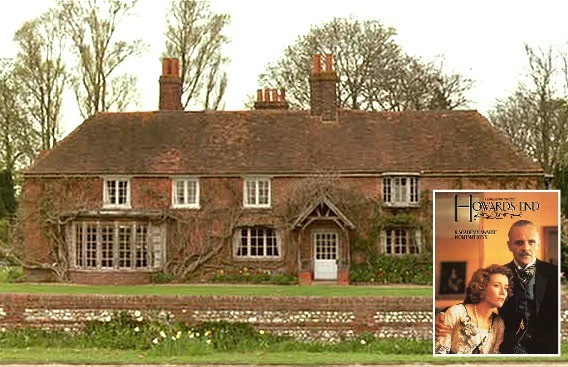 Let’s hope I can rent Efford House on my next vacation in England! 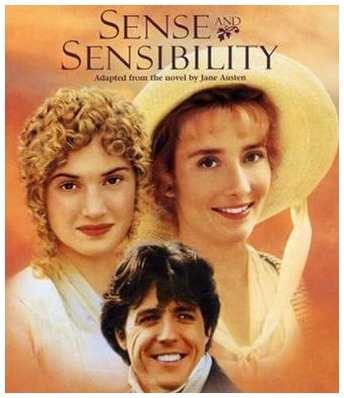 I can and do watch Sense and Sensibility over and over and over…you get my drift. Every line and character are perfect, Best movie ever!!! Thank you for this lovely site! I don’t have a favorite Austen film – I love them all and watch them over and over. On reading however, nothing beats the originality, wit, and character development of P&P! Thank you so much for this post ! I live in England and I just love visiting the old houses and castles in the school holidays with my mum. But nothing beats seeing them come to life in Sense & Sensibility and Pride and Prejudice. I think the BBC version of Pride and Prejudice with Colin Firth is the best ! Great post. Have you seen the most recent version of Emma with Romola Garai and Jonny Lee Miller (the former Mr. Angelina Jolie?). The house from that one is amazing…I’d love to live there! It’s called Squerryes Court. Great house and great miniseries. .-= Jenny Allworthy´s last blog ..At Home with the Georgians-Brilliant!!! =-. I just love the old-fashioned notion of what a “cottage” was! I’d take that house…maybe…I think (ours is only 140 yrs. old and it needs repairs every week! )…and repair the fire the smokes, unlike Willoughby. Kudos for obliquely chaffing that snob, Fanny, with her “A cottage is always very snug”! Ugh. I really hated that character…even more than Willoughby! Especially when you hear her voice-over as they approach Norland: “My only REAL concern is how long it will take them to leave”! You almost expect her to say “clear out”. I hope Marianne gave all the silver to the servants and that Margaret put huge spiders in Fanny’s under things! P.S. 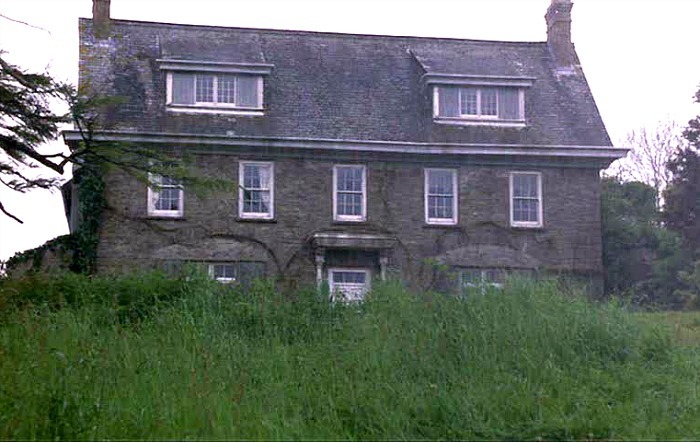 I saw some photos on another site of “Barton Cottage” (now a hotel) and it’s nothing like in the film, though very nice. One wants to see Mrs Jennings parked on the front lawn, gobbling food and dispensing courtiship wisdom! But no…only a path.